US-based Nordson will acquire screw/barrel maker Xaloy for US$200 million purchase price, subject to adjustment, will be financed with available credit facilities. The transaction is expected to conclude during Nordson�s third quarter pending customary closing conditions and regulatory reviews. Xaloy has operations in the US, Germany and Thailand, and will operate as part of Nordson�s Adhesive Dispensing Systems segment. 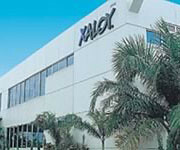 Nordson expects the acquisition of Xaloy to be accretive to the company's earnings in the first full year of operation. According to Nordson, Xaloy�s solutions are critical to the production of a vast array of products for diversified and growing global end markets, including packaging, consumer products, electronics, medical, building products, and transportation and aviation. Demand for plastic-end products produced using Xaloy�s solutions is driven by multiple factors such as ongoing population growth, particularly in emerging markets, and material conversion trends.